Coconut Oil has been added for its naturally nourishing properties. It helps in healthy hair growth, provides a shiny glow, and has a conditioning effect whilst helping in the repair of damaged hair. 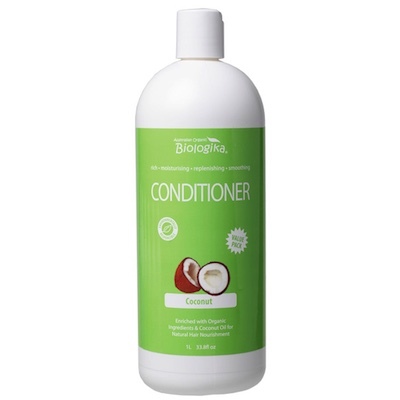 This formula is suitable for all hair types, and is gentle enough for every day use. Organic herbal blend of lavender, nettle and burdock; biodynamic avocado oil, coconut oil, organic aloe vera, vitamin E, wheatgerm oil, natural cetyl alcohol, natural cetearyl alcohol, organic birch extract, organic jojoba oil, guar gum, citrus seed extract, olive leaf extract, potassium sorbate & citric acid.